Here in New York's Capital Region, the City of Albany has one of the best pedestrian-friendly downtowns. Many of the community's top restaurants and entertainment hotspots are within walking distance of each other, with the Empire State Plaza at the center of it all. Planning a trip to the area? Check out these 5 hotels that are great for experiencing downtown Albany. An overnight stay at Hilton Albany means you'll be in the heart of downtown Albany. 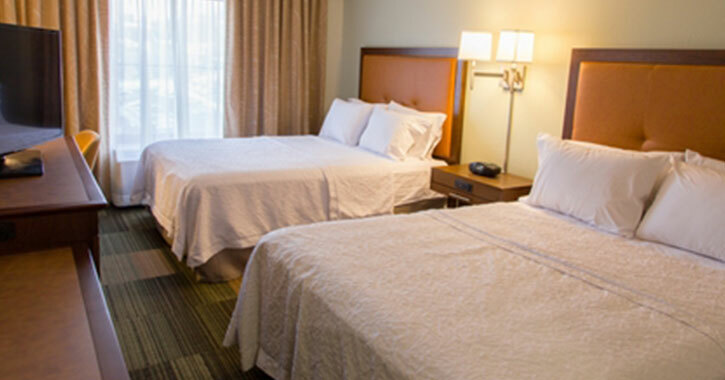 Not only are they the largest and only full-service hotel in the area (385 spacious guest rooms and suites), but guests can enjoy a combination of comfort, convenience, and a wealth of modern amenities. 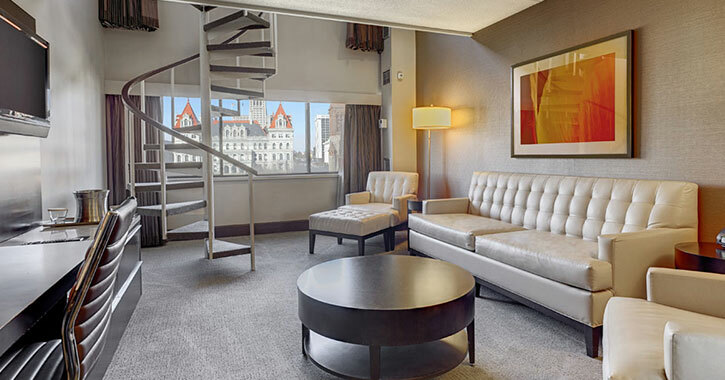 What makes Hilton Albany the smart choice for downtown visits is that it's one block from the New York State Capitol, two blocks from the Times Union Center, and surrounded by all kinds of great restaurants, such as Pearl Street Pub and The City Beer Hall. Although you'll feel relaxed at this sophisticated and upscale lodging property, downtown Albany's amazing nightlife and entertainment scene awaits outside the door. Plus, if you're arriving by train or airplane, the hotel provides a shuttle service to Albany International Airport and the Amtrak Station, and on-site car rentals. 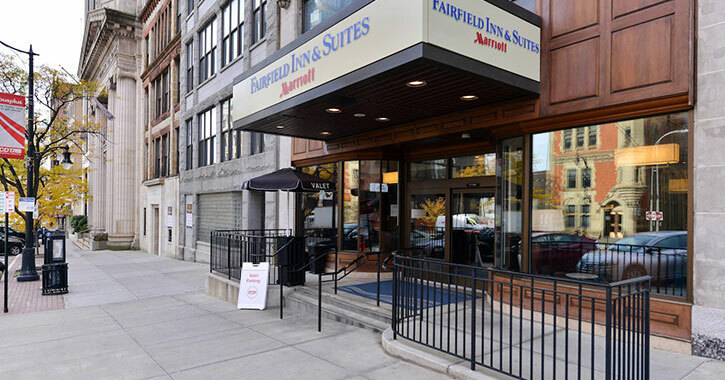 Located just .1 mile away from Hilton Albany, Fairfield Inn & Suites by Marriott is another great choice for your downtown Albany trip. The hotel prides itself on being a place that can help you travel with confidence, as they are ready to welcome you with outstanding service and thoughtfully designed rooms and suites. They've received TripAdvisor's Certificate of Excellence, and will ensure your stay is memorable. When you step outside the hotel, you'll discover nearby restaurants like Jack's Oyster House and La Serre, and plenty of attractions to visit. Enjoy a concert at the Times Union Center (a 3 minute walk), or travel a little farther for a performance at The Egg (only a 7 minute walk). 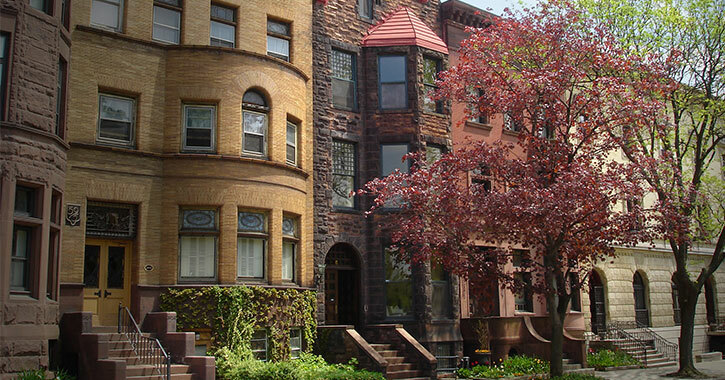 Overlooking the east side of Albany's Washington Park, The Morgan State House features beautifully appointed guest rooms and studios inside an 1884 New York style mansion. This urban inn has been voted "Best in the Capital/Saratoga Region" and caters to upscale travelers, business leaders, or anyone who would like to stay in luxurious accommodations with all the modern conveniences you may need. Thanks to its ideal location in the Washington Park Historic District, The Morgan State House is only a 15 minute walk/5 minute drive to The Egg and other downtown Albany attractions. You can explore Washington Park's scenic trails, or visit the thriving Lark Street. Whether you're a solo traveler or visiting Albany with your family, Hampton Inn & Suites Albany-Downtown can cater to your every need. This modern hotel features 165 comfortable guest rooms and suites with a fresh, clean Hampton bed, a large work desk, a TV, free WiFi, and more. There are also two on-site restaurants for your convenience; however, if you'd like to stretch your legs, then you're in luck! Hampton Inn & Suites is a short walk from local restaurants Yono's and McGeary's Irish Pub, and the Palace Theatre and theREP. The New York State Capitol and Empire State Plaza are a few blocks up the road, about .4 mile away. As the name suggests, TownePlace Suites Albany Downtown/Medical Center isn't just close to the city's top medical institutions, it's also located within a mile of the Empire State Plaza and the rest of downtown Albany. This high-rise hotel is home to 106 suites, and each one has a fully-equipped kitchen, work station, sitting and sleeping areas, and more premier amenities. You can be productive, unwind in the whirlpool spa, or go out and have fun in the city. 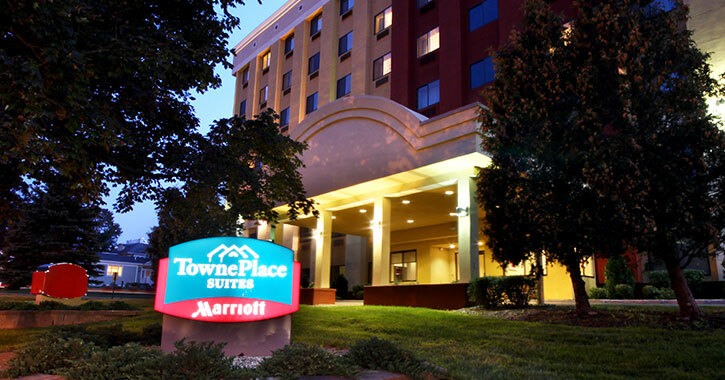 TownePlace Suites is a short distance from the popular Landmark's Spectrum 8 Theatres, Lincoln Park, and other local attractions. Since the hotel offers complimentary parking, you can leave your car and easily head out on foot. Downtown Albany is waiting for you! Book a room at one of these 5 top hotels and experience everything the area has to offer.